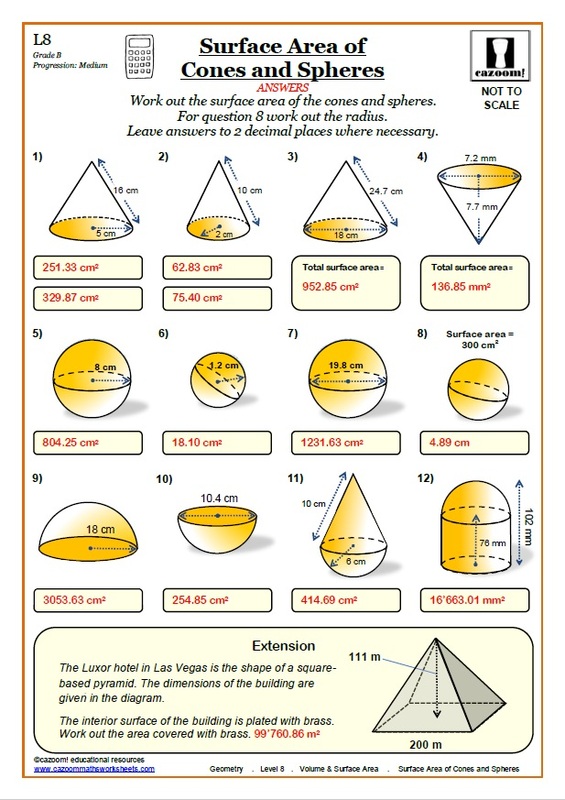 Your student or child will need to know how to calculate the properties of different types of 3D shapes. 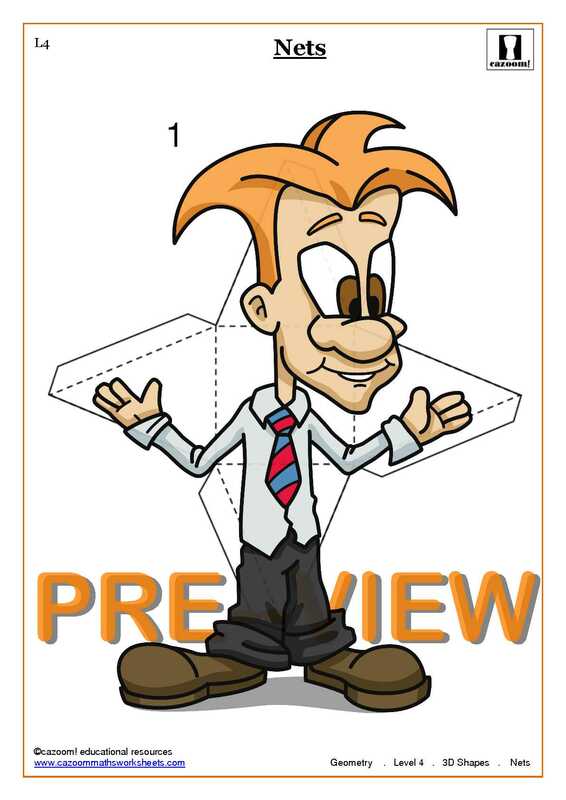 At Cazoom Maths we offer the best possible 3D shapes resources out there. 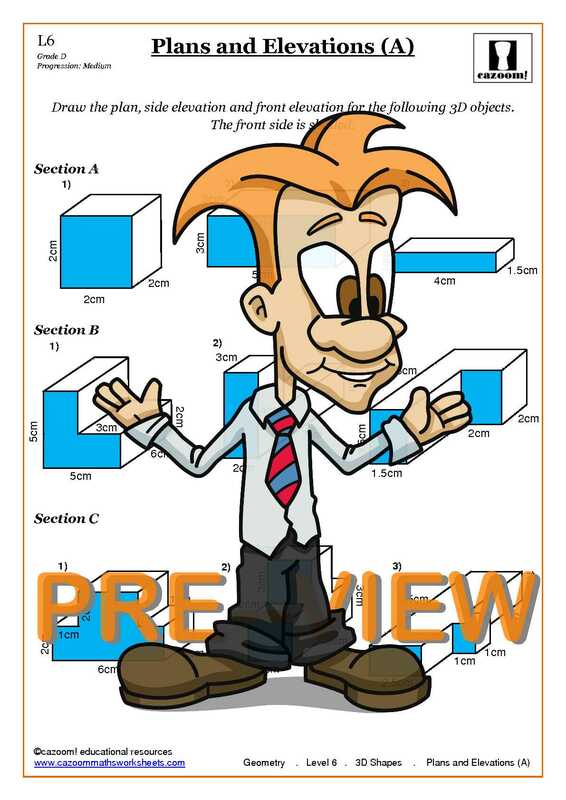 Nets, isometric drawings and plans and elevations worksheets have been supplied, giving your student or child the best possible resources for studying 3D shapes. 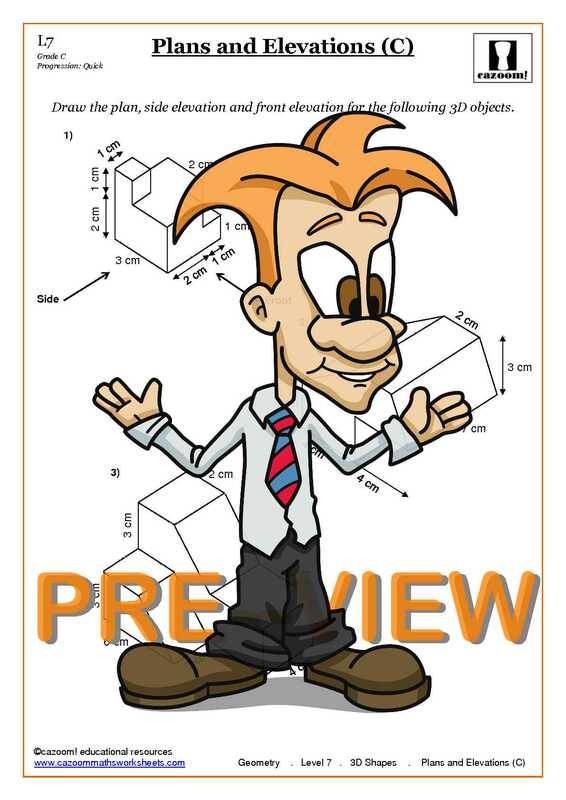 Also supplied are the formulas for the volume of various 3D shapes such as cones, pyramids, cuboids and spheres. All of our worksheets are supplied with answers so you can check on how the student is getting on. 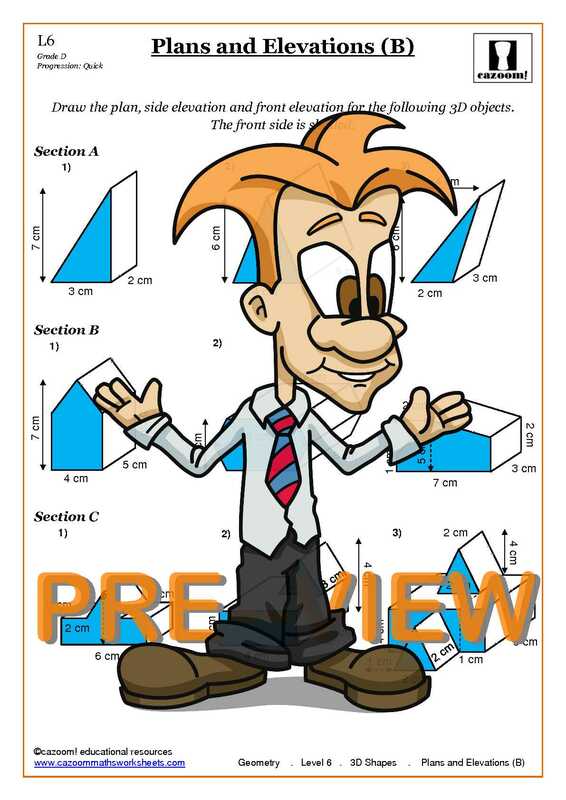 Cazoom Maths has worksheets catered for a range of different abilities. 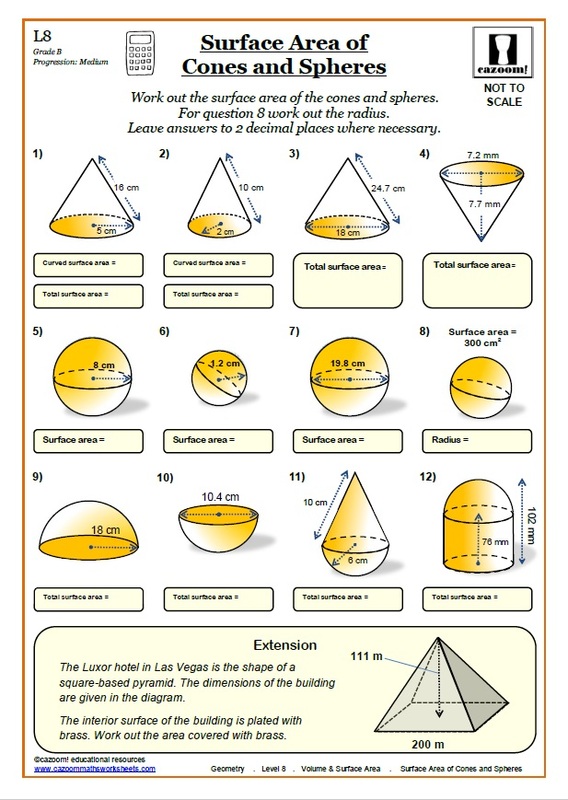 At Cazoom Maths we have provided a number of engaging 3D shapes worksheets with answers. 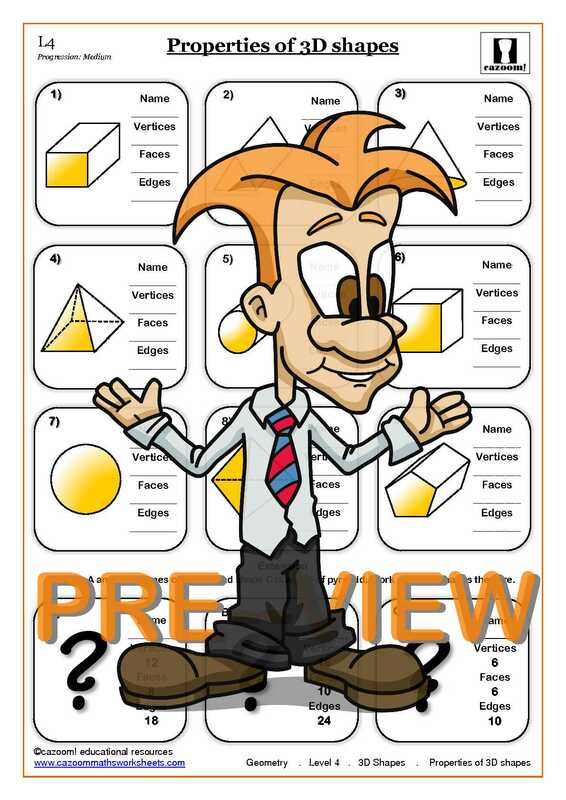 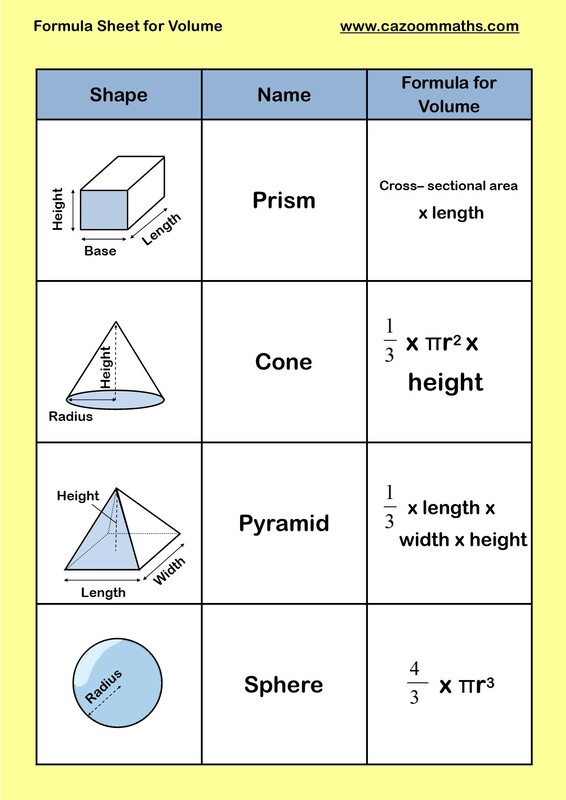 Also supplied is a formula worksheet to help aid the student or child in calculating the volume for different 3D shapes. 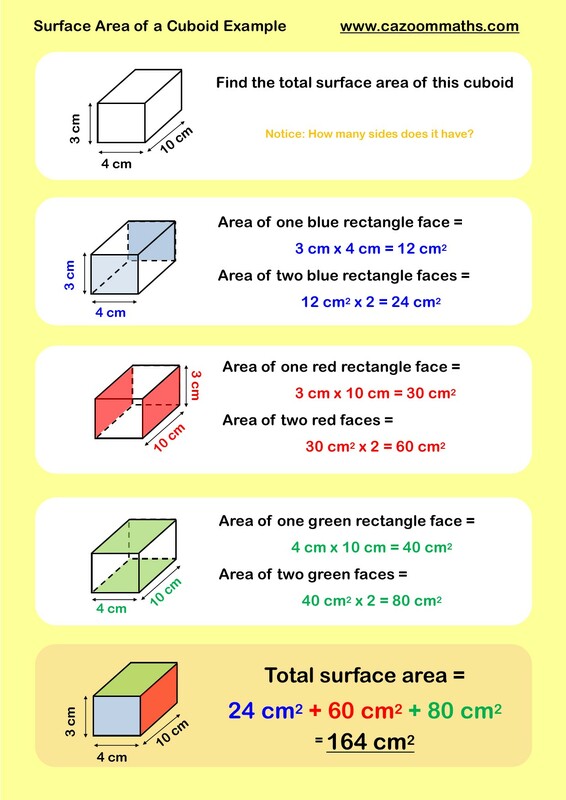 Ranging from levels 4 - 7, we have no doubt that there is a worksheet here to help all abilities.